This half day class will help you understand how businesses are valued (and it’s not what you hear on the street), what you can do to increase the value in your business and why, if you are not the sole owner, the buy-sell agreement is critical and needs to speak to all six triggering events. Business owners who want to learn about business valuation, ways to increase the value of their business, or why you need a buy/sell agreement and what should this agreement include so you can sleep at night. The Story behind the Numbers. When a company is valued, it involves far more than looking at a financial statement and applying a multiple to a particular number on the income statement to arrive at a meaningful conclusion of value. Financial statements reflect the company’s ability to utilize its assets historically, whereas value should reflect a company’s capacity to generate future economic returns. Why every business has more than one value and what really matters when valuing a privately owned company. Business valuation approaches, methodologies and how discount rates are determined. Most business owners think their business is worth more than it actually is. While it is possible to increase value in a business, the strategies to do so require time—usually 3-5 years. Most business owners do not like to think about, or plan for their business transition. The fact remains most businesses will be sold. In fact, the oldest baby boomers are currently 70+ years old and the youngest baby boomers are 54+ years old—this demographic of aging baby boomers means an estimated 70% of all closely held businesses will change hands in the next decade. Specific strategies to implement to increase the value of your business. Attorneys draft buy/sell or operating agreements regularly for their business clients. However, what about those paragraphs dealing with the valuation provisions? How will the business be valued? These become the most critical paragraphs when a triggering event occurs and a triggering event is far broader than just death or disability. Do the owners want value determined or allocated differently depending upon whether the exiting owner dies, becomes disabled, quit or retires? While owners can typically agree on this before knowing which one will “pull the trigger,” few agreements include an accurate reflection of the owners’ intent re: valuation under these differing circumstances. Ultimately, an agreement between business owners should reflect their intent—which means boilerplate language does not work. Why such phrases as “Fair Market Value” and “Book Value” are not sufficient direction to a business appraiser. Different types of provisions and share a matrix we’ve developed for determining the intent of the owners under all triggering events so counsel can create a document that will truly assist the business owners when a triggering event occurs, saving them frustration, arguments and potential litigation. President of Capital Valuation Group, a 44-year old firm that helps business owners understand, increase and unlock the value of their businesses. For more than 25 years, Cathy has worked with business owners and advisers to determine the value of an equity interest in a business, identify ways to increase value, prepare for transitioning out of ownership, resolve owner disputes (family and non-family) and define valuation provisions of buy/sell agreements that are unambiguous. Cathy earned the Accredited Senior Analyst designation from the American Society of Appraisers and is a member of the ESOP Association. Recently, she has engaged in developing a web-based tool called Business Trend Analysis (BTA), to be used by business owners and advisors to help them understand and use the company’s historical financial data to manage their investment more successfully. 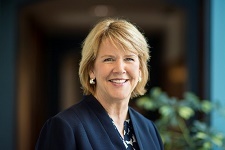 Cathy teaches nationally on topics revolving around business value and serves, or has served, as a director on a number of for-profit and non-profit boards of directors.